If your parents didn’t raise you to believe that wasting food is sinful, Cinda Chavich is here to set you straight. 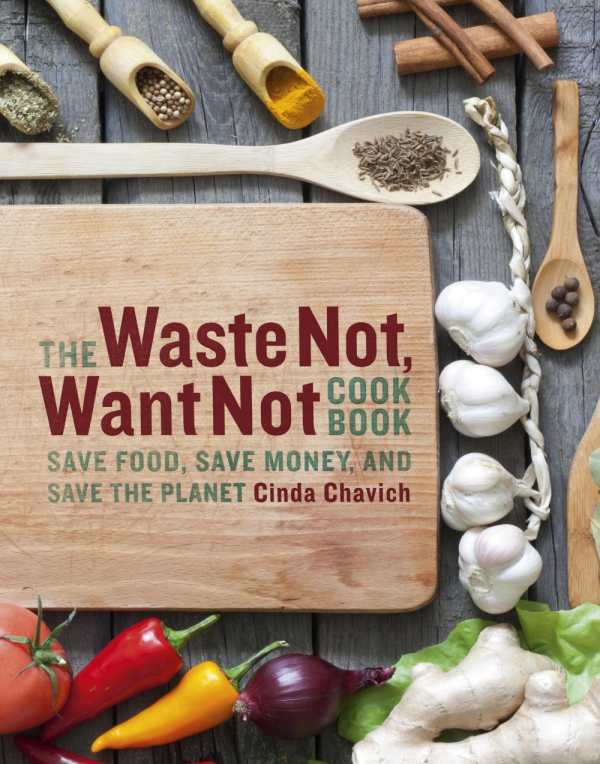 The introduction to her The Waste Not, Want Not Cookbook lays out compelling environmental, economic, and philosophical reasons why we all need to do a better job of menu planning and upcycling our leftovers. From buying a smaller refrigerator to a weekly routine of cooking up bits and bobs from the larder, she has many useful, delicious ideas to waste less and eat more creatively. The book’s format makes it easy to use based on what foods are on hand. It’s organized into three main categories—fruits and vegetables, staples, and weekly feasts (i.e., meat and fish)—so you can take stock of your pantry and quickly find cooking ideas, storage information, and recipes for related ingredients. Do you have some apples hanging around? Whip up speedy Waldorf Salad. Got some leftover grilled steak, veggie, and the ubiquitous crop of fridge-door condiments? Oyster Sauce Beef Noodles fits the bill. Artsy food prints and photos also make the book graphically pleasing, so you just may find yourself reading the book through for pleasure as much as for its valuable information.